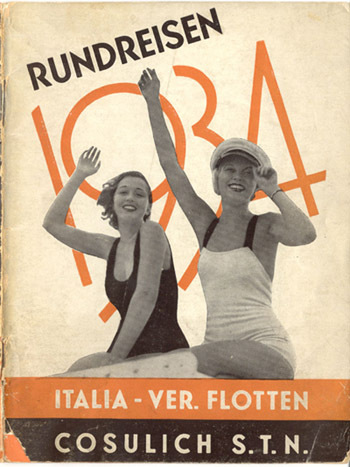 Travel brochure "Rundreisen 1934," published by the Italia-Ver. Flotten Consulich S.T.N. Designed by "Pizzi & Pizio - Milano-Roma." Front cover.